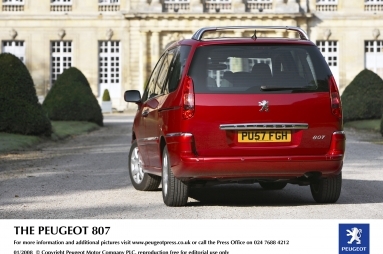 Peugeot is extending the appeal of the 807 with a more powerful new diesel engine variant – the HDi 170. The HDi 170 supplements the capable HDi 120 and HDi 136 diesel engines, and will be available exclusively in ‘Executive’ trim. Other notable improvements for 2008 include a new six-speed automatic transmission, new exterior detailing and a new Mistral Black interior trim. 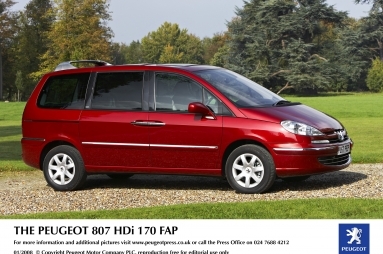 The HDi 170 is a modern 2.2-litre engine producing 170bhp at 4,000rpm. 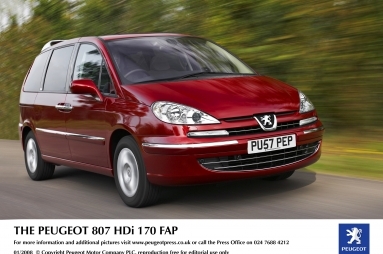 It is equipped with twin turbochargers and is already found in the Peugeot 407 and 607 and due to its innovative engine technology it is one of the most advanced engines available. This HDi engine provides a level of performance and driveability which is more frequently found with a larger capacity engine, while still providing low fuel consumption and reduced CO2 emissions. The use of sequential twin parallel turbochargers is a world first on a four cylinder diesel car engine. It also has generous maximum torque of 273 lb ft at 1500rpm for the manual gearbox and 300 lb ft at 1750rpm with the 6-speed ‘Porsche Tiptronic System’ automatic gearbox. The torque and driveability at low engine speeds are particularly impressive, with the engine producing a torque of 148 lb ft at 1000rpm and 207 lb ft at 1250rpm. Ultimately, this engine brings greater driveability to the 807 combining improved dynamic performance, with a six-speed gearbox, be it manual or automatic. Available in February 2008, a six-speed automatic gearbox will also be available with the 2.2 litre 16v HDi FAP engine, further improving the dynamic performance and driveability of the 807, especially with regards to its overall performance and acceleration due to a ‘lower’ first gear. The use of a ‘higher’ sixth gear also reduces fuel consumption and keeps noise levels low. Finally, this new gearbox permits the engine to develop an even higher maximum torque output of 300 lb ft at 1750rpm. The gearbox has two driving modes: one automatic self-adaptive mode for a stress-free drive, which automatically adapts to the driver’s driving style and the other is more active, thanks to the ‘Porsche Tiptronic System’ sequential control. 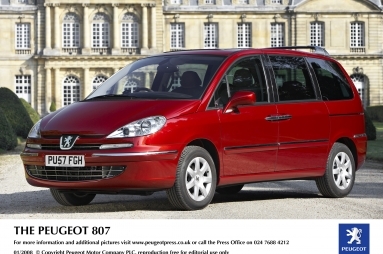 Initially launched on the V6 petrol and HDi engines in the Peugeot 607, the AM6 automatic gearbox has been developed by the ‘Aisin AW’ Company, based on specifications set out by Peugeot. 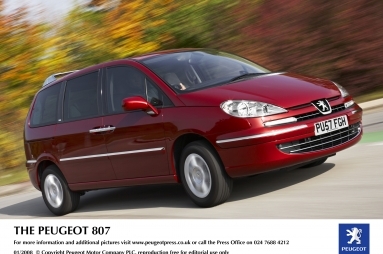 In addition to the new engine variant, the entire 807 range in 2008 is distinguished externally by a body colour coded exterior, including bumpers and bodyside mouldings, with chrome inserts and door handles. 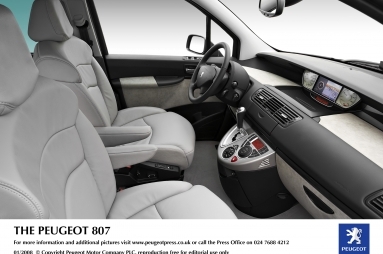 Inside the interior has been tailored with a new ‘Mistral Black’ trim, bringing more clarity and quality to the overall design and modularity available. 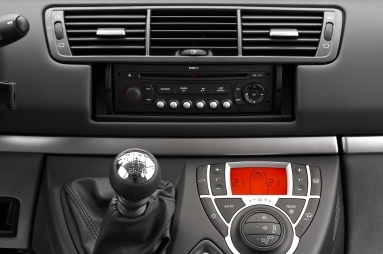 The RD4 radio/CD player, with MP3 playback capability is now standard across the range (the MP3 functionality enables audio playback of CD discs encoded with MP3 files via the in dash unit). There are three trim levels – S, SE and Executive. 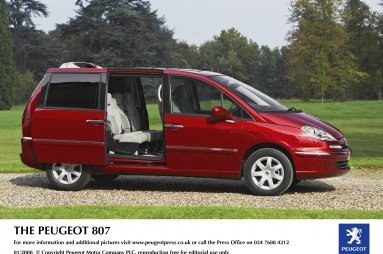 The SE model now features, as standard, a Visibility Pack (automatic headlamps on with time delay security illumination and automatic rain sensing front wipers), leather steering wheel and dark tinted rear side windows. 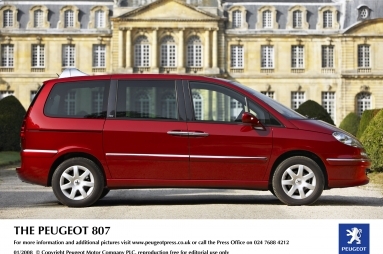 The top-of-the-range ‘Executive’ model has a huge list of standard features and 2008 models also now include a new Mistral Black leather interior trim and front parking aid. Finally, there are also two new metallic paint finishes available, Delft Blue and Moondust Grey. 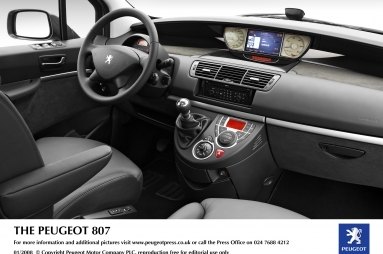 The new 807 range starts at £19,695 for the 2.0-litre 807 ‘S’ and extends to the fully-equipped 807 HDi 170 FAP ‘Executive’ six-speed manual at £26,895 and the new six-speed Automatic at £27,695.